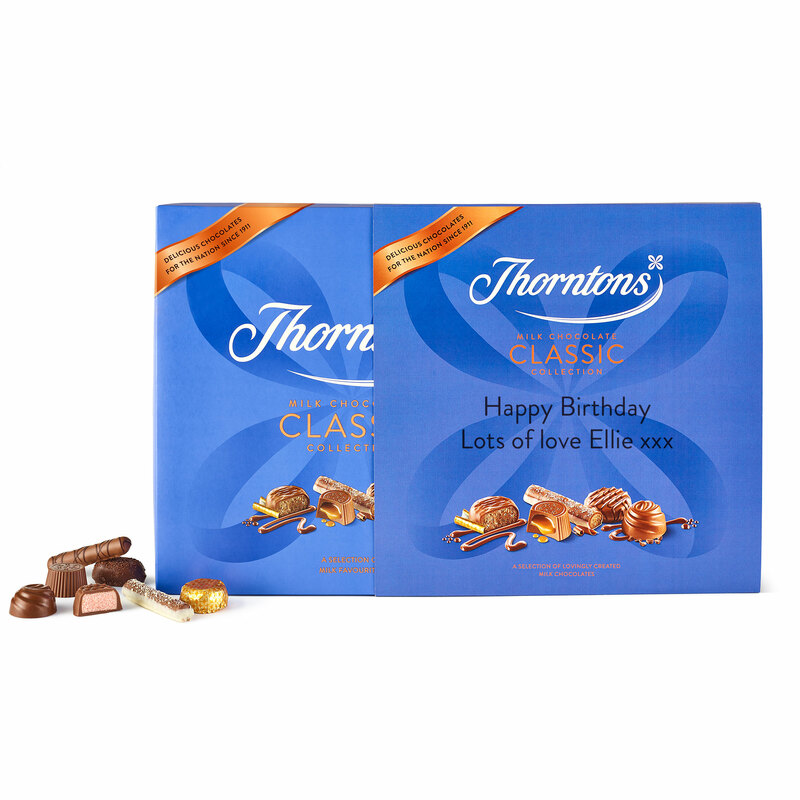 This personalised box is for those who are serious about milk chocolate - or who just love sharing. Give the gift of 44 of these delicious milk chocolates featuring all 12 Classic Collection flavours. 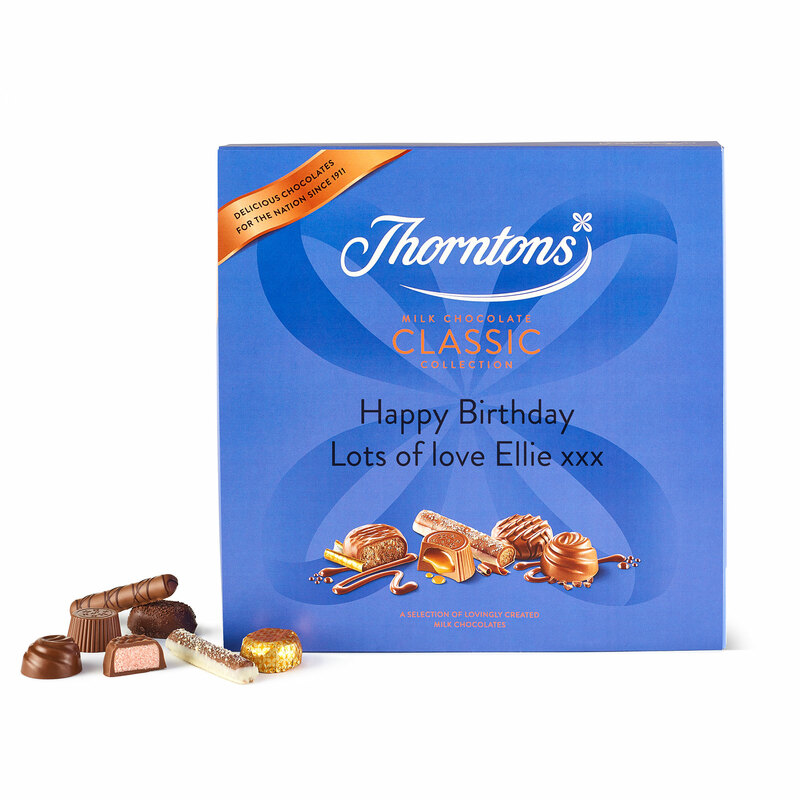 There really is a flavour for everyone in this personalised box of carefully-chosen flavours, including the much-loved Strawberry Dream, the brand new Crunchy Praline Baton, or maybe you prefer to break through the chocolate shell and plunge into the rich centre of the Tempting Toffee. All delicious flavours, all smothered in delicious, smooth and creamy milk chocolate. Sugar, dried whole MILK, cocoa butter, cocoa mass, glucose syrup, palm oil, coconut oil, lactose (MILK), HAZELNUTS, butter (MILK), sweetened condensed milk (whole MILK, sugar), double cream (MILK), MILK fat, dried skimmed MILK, dextrose, humectant (sorbitol), fat reduced cocoa powder, whole MILK, emulsifiers (SOYA lecithin, E471, sunflower lecithin), rice flour, maize flour, invert sugar syrup, ALMONDS, flavourings, single cream (MILK), maize starch, dried instant coffee, gelling agent (pectin), strawberry powder, orange peel, salt, acid (citric acid), glucose-fructose syrup, colour (anthocyanins), acidity regulator (sodium citrate), dried EGG white, raising agent (sodium bicarbonate), margarine (palm oil, rapeseed oil, water, flavouring, vitamin A, vitamin D), MILK protein.